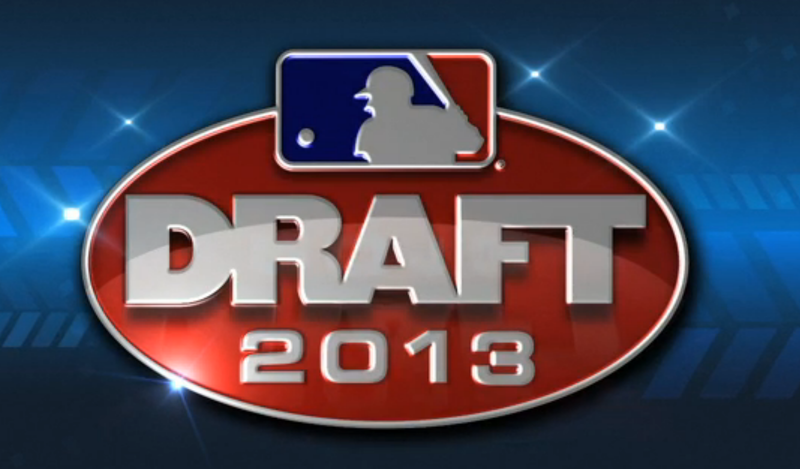 It’s a big Friday night in college baseball as the draft is now just 13 days away. With the Pittsburgh Pirates picking #9 and #14, they are getting some last looks in at the players in their range. A lot of the talk recently has centered around players that have either dropped in the rankings, like Georgia HS outfielders Clint Frazier and Austin Meadows, or we have heard about college bats that they may be looking at. Those bats for the most part are guys who were ranked lower this year, but have surpassed some of the college pitchers that have faltered recently. Some of these players mentioned below are ones to watch in the second round, possible guys that could fall and give the Pirates a strong pick at the 51st spot in the draft. Kris Bryant and San Diego, took on San Francisco today, facing off against Alex Balog. The big right-hander has been getting mention recently as a possible first round pick. Baseball America had a special article on him recently worth checking out. It was a tough outing for Balog, who gave up six runs on 11 hits and four walks in six innings. Bryant went 1-for-4, with a walk and two runs scored. The walk was intentional and the hit was a single to lead off the game. Bobby Wahl from Ole Miss never got to pitch this weekend because his team was eliminated from the SEC tournament on Thursday. Also not pitching this week is Jonathon Crawford, as his team was eliminated on Tuesday by Texas A&M. Colin Moran from North Carolina seems to be the best bat from the college ranks that could possibly fall to the Pirates. On Friday night, his team took on Clemson. North Carolina scored five runs in the ninth inning to send it to extra innings. Moran didn’t help much in the win on the offense side, going 1-for-7, with a walk and no runs scored or RBI’s. The hit was a seventh inning single. North Carolina won 12-7 in 14 innings. Stanford took on UCLA on Friday night with Mark Appel on the mound. He had a great outing, going eight innings, with one run allowed on three hits, two walks and a hit batter. He recorded nine strikeouts and threw 123 pitches. Austin Wilson went 1-for-3, with a single in Stanford’s 2-1 win. DJ Peterson from New Mexico has been linked to the Pirates recently, more times than anyone else. He took on UNLV on Friday night and went 2-for-4 in his team’s 7-1 win. He had two singles, scored a run and struck out twice. Aaron Judge went 1-for-4, with two strikeouts in his team’s 4-0 loss. Fresno State was eliminated from the Mountain West tournament with the loss. Judge had a single, run scored and walk in a 10-1 win over Nevada earlier in the day. Yesterday he hit his 12th homer of the season in a 6-4 with over Navy. Notre Dame third baseman Eric Jagielo went 2-for-3 Wednesday in the first game of the Big East tournament. He had his 18th double and drove in two runs. On Thursday, he went 1-for-4, stealing his third base of the season. Notre Dame has won both games so far and they will play again tomorrow. Ryan Eades from LSU, pitched today against Alabama and went seven innings, allowing two runs on four hits and one walk, while striking out four batters. He left with a 2-1 deficit, but LSU came back and won it late, helping Eades avoid what would have been just his second loss all season. Kendall Rogers had a report from the game that can be read here. Last night, Marco Gonzales lost to San Francisco in the WCC tournament. The lefty from Gonzaga has really slipped in the rankings since being highly rated early on and his start on Thursday didn’t help. He went seven innings, giving up six runs on 11 hits and three walks. He struck out four batters and threw 130 pitches. It could be possible that he slips to the second round, giving the Pirates a chance at a polished/athletic lefty, with four pitches. He may not project to have huge upside, but he could move quickly through the system and being a lefty helps at PNC. Earlier today, we posted a recap of Baseball America’s second mock draft, which can be viewed here. Jim Callis had the Pirates taking Reese McGuire and Hunter Renfroe. Minor League Ball has an article detailing which players might have signability issues. This is a good link to keep in your favorites, when you see the Pirates pick some players later on that may have fallen in the draft. JP Crawford, the highly ranked HS shortstop from California, had his team’s season end earlier this week, with a 6-3 loss. He went 0-for-3, drawing a walk. Crawford finished the year hitting .452 in 93 AB’s, with ten doubles, three triples and two homers. He had a 1.228 OPS and 17 stolen bases in 19 attempts.